Sanyutei Jubei took the rare step as a foreigner and joined the ranks of professional rakugo performers. In the world of rakugo, while more and more foreigners are trying their hand at this Japanese traditional form of comedic storytelling, the ones who turn professional by learning under a master are truly rare. The first, Kairakutei Black, was an Australian who performed in the late 1800s to early 1900s. Much more recently Canadian Katsura Sunshine studied under the famous Katsura Bunshi and performs in Japan and abroad. I first met the subject of this interview, Sanyutei Jubei, when we were both performing in the same amateur international rakugo competition a few years ago. Performing under the stage name of Volvotei Ikeya (a play on his Swedish roots) he succeeded in being a crowd-pleaser. Still, I never dreamed that a that he would eventually turn professional, becoming the first ever Swedish rakugoka. Knowing how rare such a step was I knew I had to find out how he came to this big decision and how the process was going for him. After getting permission from his rakugo master I was finally able to get his side of the story of this rarest of career choices. Please enjoy. Shawn: Thanks for taking the time. Thanks for joining me. You must be very busy. Can you just do a short introduction of yourself? S: I’m sure you get that all the time. J: Yeah, just half a year ago I became a professional rakugo performer. Since in Japan it’s such a big gap between being a professional and being an amateur. S: Let me just start by asking how did you find yourself in Japan in the first place? J: At first I was interested in Japanese culture. Like a lot of people I like anime and manga and the usual suspects and then I had the opportunity to study Japanese in my high school. And I gave it a shot. S: Back in Sweden, right? J: Yeah. And then I liked it and I liked languages and when it became time for university I didn’t’t really know what I wanted to do so, “Hey, why not languages?” I went with Japanese and then I came to Japan twice through exchange programs. Then I kind of ended up here. S: Which university were you at in Japan? J: First, I spent 4 months in Nanzan University in Nagoya. Then I went back to Sweden and then came back and went to Chuo University. S: Oh, great. Two different areas. That must have been nice. And when did you first encounter rakugo? S: And you joined the club? S: Were you there at Chuo for one year? S: That sounds like a lot of fun. Were you the first foreigner in the club? J: Yeah, they were very surprised. They didn’t’t expect me to last long. Ha ha. S: And you outlasted them all, ha ha ha. J: Well, I outlasted a year but then I had to go back to Sweden. S: Yes. So after you went back to Sweden you came back here (to Japan) in what capacity? J: After that I came back here as a student again because I wanted to continue with rakugo and I also wanted to study theater. I thought I’m not going to be able to do a normal job. That’s not for me. I might as well go and try something like that. So I joined an acting school in Tokyo called Tokyo Film Center. I’ve been there for three years. This is my 3rd year. S: So you are still there also? J: I’m still technically enrolled but I’ve gotten an acceptance from the school and now I don’t come to class. S: You’re like a lot of college students in Japan. S: So you were really interested in rakugo and came back specifically to do rakugo…and acting. S: But at that time you weren’t thinking about turning professional were you? J: Um, I wasn’t sure yet about that. I just thought I would go back and have an experience. S: So what made you make the big decision to turn pro? J: Well, I’d been hearing generally the attitude here towards either you are pro or you’re not doing it seriously at all. It’s kind of the attitude that Japanese people have today and I thought, “Hey, that’s a shame.” And then I thought, “Well, if I try to do it professionally that might increase my skills generally and I might get--.” Half of it is an experience and there’s hardly anyone in the West who has done this so let’s give it a shot for at least the experience. It sounds crazy and stupid and all that but hey, why not give it a chance. Half of it is an experience. S: Well, sure. I think that’s the better way to think about it instead of money and fame which might happen but probably won’t. But you never know. So, when you thought, “I’m going to go pro” what did you do from there? S: And the first time you did that I think I heard that you weren’t accepted by the first master. J: Um, yeah, yeah. But I don’t think it’s proper to go into that. S: Yeah, yeah. Well, it wasn’t easy at first. You don’t have to name names or anything like that. I don’t expect you to do that. It happens a lot probably actually. So you came across Koraku. Did someone introduce you to him? J: No, not introduced directly. I was already acquainted with one of Koraku’s apprentices, Sanyutei Tom. S: He sounds like the foreigner and you have a name like Jubei, hahaha. So you wrote a letter and approached him. S: That’s good. I kind of have a friendly image of him. It’s good that it seems to be true. S: So how long did it take for him to accept you after he contacted you, pretty quickly? S: Did he tell you want it meant by being in? J: A little bit, to a certain extent. He said it was very tough work, very “jimi” (a Japanese word meaning serious and unglamorous). Not flashy, a lot of hard work behind the scenes and he said it was very strict as well. S: So that was half a year ago? J: Yeah, been half a year now. S: How has your life changed in that time? J: For one, I don’t have any real time off. I never know when I will be called for a job. Every morning I call my master and report what happened the day before and things like that. S: So you report directly to Koraku? S: So there is nobody in between teaching you (like an older apprentice) which happens sometimes? S: So you come over and what do you do at that time? J: Well, it depends where the job is. Normally we go together and I carry his bag around (to a performance) and then, you know, open doors for him and bring him tea, help him dress so he can dress quicker. Then sometimes performing as well, as the first batter warming the audience up. Then sometimes there is also drumming (backstage) involved although I don't do too much drumming yet. S: So you've had to learn the instruments you play backstage? J: Yes, the taiko drum and such. And then between performances I go out and change the title of the mekuri (the sign on stage that shows who is performing at the time), change the zabuton (the cushion that the performer sits on), and such. S: Where does he mainly perform? J: Well, I generally work at the Ryogoku yose but my master goes everywhere. S: Yes, because he is so famous. J: Yes. In Tokyo at times and then way out. This month we were in Shizuoka I think and then Koriyama and Chiba and all over the place. S: I heard you were helping out at Engei Hall in Asakusa recently. The staff said, "Oh yeah, we've seen him here." J: Yes, but the most important thing is getting tea and help him put on his kimono and folding the kimono afterwards. S: So what difficulties have you encountered with your new profession? J: Well, generally I would say the mentality of this world is don't make a mistake. If you make a mistake then you are screwed. Then you have to apologize. S: Is this like making a mistake backstage or on stage? S: But they mainly want you to concentrate on the story. J: Yeah, stick to the story and not try to show too much of yourself. You should rather show the story and do it as you've been taught. S: How many stories have you learned so far? Do you learn directly from him? J: Ummm, I learn both from my master and from others. J: Yeah, and generally I can, this depends a bit on who your master is and what their way of teaching is, but I can learn from whoever I want above me. S: You just let him know and he says it's okay? J: Yeah. I've got three stories that I've done in front of him and gotten the approval to do and I've got two or three more that I still need to, I've learned them but I need to show them in front of the master I've learned them from and then get the approval. S: And they say, "Now you can go in front of an audience." S: What are the three you've learned that you perform right now? J: Right now I have "Kohome", "Tsuru", and "Jugemu". Very typical choices. S: Everyone has to go through those I'm sure. As a zenza if you try and do a story with alcohol in it or something, you aren't supposed to do that. That's the old kind of thinking that zenza shouldn't be drinking or do other things. S: Are these stories you are looking forward to learning? J: Yeah, there are plenty of stories I want to try. S: Is there any one in particular right now? J: Well right as a zenza I want to do "Tara Chine". S : I think I know that one. J: Hattsuan gets married to a girl and she, because her father is a kabuki performer, she can only speak in super hard to understand Japanese. S: Ah, yes, I do remember that one. There's a lot of storied I've heard before but don't remember the titles. Maybe you encountered that in the beginning. J: That’s kind of part of my job as well. I need to be able to hear what story it is. The zenza who is the highest ranked zenza has to write down in a book, the netacho, the stories that are being told and it's good if you can tell by yourself and just write it when you have time and not have to ask what story it was. S: That's interesting. So they are listening while the others are on stage and they are writing down the story title. I was mistaken. I thought that the shisho wrote it down, never mind. J: No, that's what the zenza do. Preferably they do it without having to ask. S: You're going to have to practice your Japanese calligraphy for when you eventually have to take that spot. I actually love looking at the netacho with the beautiful handwriting. It's an interesting piece of history. So, being a foreigner in this job is very rare. You have Katsura Sunshine and is there anybody else right now? J: No one else who is professional. There is one that is half-Japanese and half-something, the second Kairakutei Black. S: I've heard to stay away from Kairakutei Black. Hehe. J: Yes, he has been kicked out of Tatekawa Ryu and something like that. S: I think he's been kicked out of many places. But he sounds interesting. Maybe someday I should interview him. But as a foreigner have you found any advantages and disadvantages? J: Well, the advantage of course is that everyone remembers you quickly. That is of course a disadvantage in itself because everyone remembers me but then I have to remember them as well. They're like, "Do you remember me?" and I'm like, "Yeaaaaah, sure." S: Welcome to my world. That's happened to me many times because I stand out being so tall and foreign. This of course can be a good thing and a bad thing. If you do something bad they know exactly did it. J: Otherwise it's the Japanese. No matter how good my Japanese is I'm not fluent enough, especially for writing and reading. For talking as well sometimes my answers are slower and of course my rakugo can be affected by that. Hence, some people, as a zenza I generally have to get most of my jobs from my masters and I can't really do my own shows and thus I have to get the masters above me to like me and some of them find it annoying that my Japanese isn't good enough and that my way of thinking is different. Sometimes I can't respond as quickly because Japanese is not my native language and that part of it can be a bit harder. It's really, really strict. I was kind of prepared for it before, I had heard a lot of stories, but still the degree of lack of freedom as a zenza is kind of surprising. S: I understand your frustration. Have you been surprised by anything so far since entering this world? J: Well, it's really, really strict. I was kind of prepared for it before, I had heard a lot of stories, but still the degree of lack of freedom as a zenza is kind of surprising. And I'm still in a good spot because my master isn't that demanding compared to some. Some people have to live at their master’s place and go there every day and take care of them, cook for them, and do stuff like that. But still, as a zenza, you shouldn't say what you think. In the locker room you shouldn't speak until spoken to or if you need to ask them something. Then you need to be very careful about the timing. If they are busy doing something you shouldn't come and interrupt but most of them are busy with something almost all the time so you need to know, "Ah, now is a time when I can ask them." S: You have to know when busy is too busy and such. J: I've heard that with one of the masters that when he is checking his phone you shouldn't disturb him but when he is reading the newspaper it was fine to talk with him. And it's like, "Alright." There are a lot of things you need to remember. S: Yes, I remember seeing the different zenza taking notes on how different masters like their drinks. J: Yeah, some of them are very picky about that. This tea is too hot or this tea is too cold. S: So you are basically at their beck and call so you can't do any outside jobs not related to rakugo now? Right now I am barely surviving. At the beginning I had some savings but in general my pay depends very much on what job it is. S: So of course then I have to ask what do you do for income? How are you surviving? J: Right now I am barely surviving. At the beginning I had some savings but in general my pay depends very much on what job it is. Generally the job at the yose where I have to work, in the Enraku Ichimon, the Enraku federation or however you want to put it, we have yose from the 1st to the 15th of every month. So from the 1st to the 15th I work there. I get there around 3 or 4 and stay there until 9ish and a get a whopping 1000 yen (around $10 US) for that. S: I've heard about that, yeah. J: So that's for 15 days so I earn at least 15,000 a month. Ha ha. J: But then again you can also get extra okozukai (allowance) when you get money from the masters above you to help you and stuff like that and then they treat you to food and stuff like that. But generally I have to get work outside of that because that's where you really earn stuff. When I go with just my master I can earn a bit more. Just a few days ago I had one job and yesterday I had two jobs and that was 15,000 just for those two days. That's as much as 15 days at the yose. S: I've heard that they consider that place a place of study and not a job. J: But the futatsume (2nd highest rank of rakugoka) and the shin'uchi (the masters) don't really earn anything from that either. The futatsume get 2000 yen each time and the shin'uchi gets 3000 yen. J: But the shin'uchi have to pay 10,000 yen each month for the yose to keep it running so even if they perform three times and have to pay 10,000 to the yose they lose money! Haha. Yeah, but it's kind of paying back for being able to get this far. So where do you see yourself in five years or ten years? J: It's hard to tell. I would hope that I would be able to perform both here in Japan and abroad as well. S: You do rakugo in English as well too, right? S: And have you done it in Swedish? J: Yeah, I've done it in Swedish as well but I don't know what the market will be. S: Is there anything like rakugo in Sweden? S: Yes, I think I read that you recently performed in English somewhere. 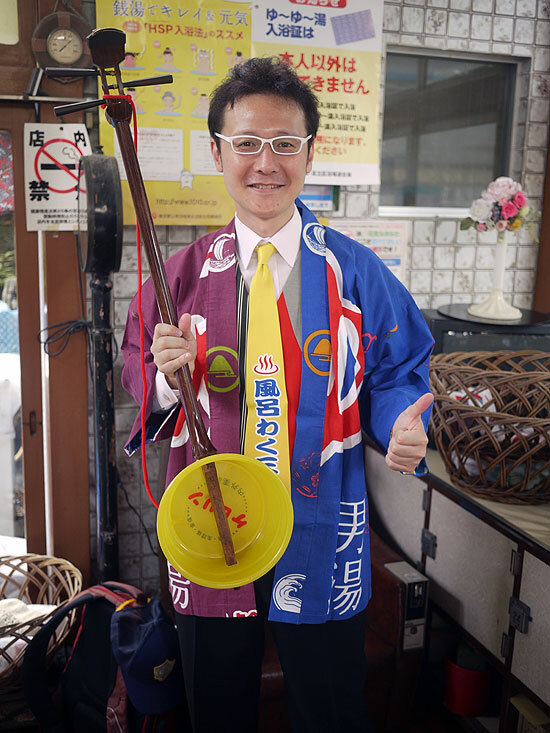 So you would like to continue working here in Japan and abroad and continue with rakugo? You're putting all your money down on rakugo so to speak. Going through the yose, this zenza thing and all I could probably write a book about it, haha. J: Well, I kind of what to do other stuff as well as in acting-wise. I'm keeping my doors open of course to see what will happen but the main thing will probably be rakugo. But anyway, going through the yose, this zenza thing and all I could probably write a book about it, haha. S: Yes, that's the reason I'm covering you. I thought, "Oh my gosh, you went pro. I have to hear this." I don't have the time or guts to do this. I mean it's a huge commitment. J: Basically you sacrifice four years of your life to reap the benefits of that. S: If I was twenty years younger maybe I would take the leap but now I have a wife and kids so that's not really an option. J: We do have some that had families when they started. I heard one master did have children when he started out. S: Hopefully, the wife had a great job. J: Haha, yes. And right now, one of my ani-deshi (a more senior apprentice) has become a zenza at the age of 42. J: He's very interesting I think. First, he was a pro boxer and then when that career, of course, ended pretty early, he became a mandanshi (another type of comedic solo-performer) and then thought, "I want to do rakugo" so back to zero he went after being a respected Mandan performer who had appeared on TV and such. J: When he was performing mandan his name was Nishimura and then my master told him, "It's good you are doing mandan as well so you are going to be called Sanyutei Nishimura." S: Hahaha. I hope he copyrighted that. Well, it's great that you can have all those things that you can fall back on and that you can talk about in your makura and such. I don't think they (my family) fully understand what I'm getting myself into. It's hard to explain all of it, just how old fashioned it is, how strict it is and such. And how does your family feel about your choice? J: Well, I don't think they fully understand what I'm getting myself into. It's hard to explain all of it, just how old fashioned it is, how strict it is and such. They say, "Do what you want to do. As long as you are happy." Stuff like that. S: Have they seen you perform? I assume so. J: Yeah. They say it's good at least. S: Do you have any brothers or sisters? J: I've got two younger brothers. S: Are they still at university? J: Yeah, well, the middle brother is studying music so he's just now trying to get into some proper music schools. S: Oh, get him to play the shamisen. He could do the debayashi for you. (At yose a shamisen player plays at the beginning, ending, and sometimes during rakugo performances). That would be awesome! S: He could get 1000 yen a day. J: I think the shamisen ladies get a bit more. S: I'm sure. But still, a pittance when you think about it. So you're not regretting your choice yet? This is a great experience so far? J: Not yet. I mean it definitely feels like it's worth it even though I've felt like quitting a couple times a month so far. S: I think that's pretty common. J: I think it's worth it. S: If you haven't felt like you want to quit I don't think you're trying hard enough. J: Well, something else to add would be the absurdity of being treated. For example, after the yose or whatever some of the masters would say, "Okay. Lets go out to drink." And then they ask the other staff and the futatsume and the shin'uchi who happen to be below them. Of course, the "tori", the last person to perform, they would leave and then the next person in line would say, "Okay, let's go drink." because the person on the top has to pay for everyone. S: Oh...maybe that's why the top person left, hahaha. J: Haha. And then there is generally, "You zenza are coming too." And then we are like, "Oh thank you! Thank you for treating us!" S: Even if you don't technically want to go in some cases. S: It's just part of the experience. S: And learning new things and chances to make connections so you don't really want to turn that down. S: So you need to know what the pecking order is. J: Yeah. So you need to know the hierarchy and bring it in order and then when they are drinking you have to look for timing when the drink is 30% less full and ask, "Oh, I'm sorry. What would you like to drink next?" S: So it's not relaxing at all? J: No, it's part of the job! S: An unpaid waiter perhaps. It sounds fascinating though. So, have any of your ani-deshi let you know what to do? J: Yeah, they help a lot and, I'm being taught some parts by my master but what I need to do as a zenza I am learning from the other zenza above me. You are supposed to teach the people below you, little by little. So when more people come below me I need to teach them as well. S: The Japanese person, always wanting to be a rakugoka, comes in and, "Oh, this Swedish guy is going to be my ani-deshi!?" J: It's going to be very absurd once I get up a bit and then that have to play this game in reverse against me. Hehe. S: So naming is a big thing in rakugo, of course, why did he choose "Juubei" for you? J: Then he thought it would be fun to surprise people since you know (being foreign) and when you generally have the mekuri just standing there and it says "Juubei" and you think, "Okay, it's someone Japanese guy is going to come in." and "Whoa! It's a foreigner!" So that's kind of what his aim was. S: I like that strategy there. I loved your amateur name of Volvo-tei Ikeya but this is a great name too. S: Have you met any people that you were ecstatic to meet, like Utamaru shisho or somebody? J: Well, just briefly. I went with my master to Kokuritsu Engeijo and he was performing there and then I came and introduced myself and he was like, "Oh? You're going to be a rakugo performer?" I'm not sure if he remembers me. He looks very sickly. S: Yes, but when he gets on stage he comes to life. I would like to meet him someday. I missed the Rakugo Geijitsu Kyokai festival this last year but I would love to have a picture of him with my baby or something. I would say, "You guys are a hundred years apart!" and see how he reacts. Haha. (the is certainly not that old) Haha. J: Haha. "No! I'm just 80!" J: Yeah, definitely. I think everyone is expecting... I don't know. S: And a lot of people weren't happy with the choice because he was the son of a famous rakugoka but anyway but you couldn't have pleased everyone with the choice when only one spot opens up every twenty years. J: Yeah, he was really nice and chill. S: I've heard lots of comedians are like that offstage as well. You know, they can't always be "on." J: Yeah. It depends on the person. Some of them are completely chill, some of them are really strict behind the scenes. S: So what is your next goal? Just to keep on going? J: Well, in general, there's a time limit. Even if I work crazy hard, I can't become a futatsume yet. You have to do it at least three years. For our family it's generally three years. With others it might be four years. S: Is this the Sanyuutei Ichimon? J: Well, the Enrakutei Ichimon. S: Yeah, well, it's a little hard for foreigners to understand the system. J: Yeah, there are the four big ones. J: and then the Tatekawa Ryu and the Enraku. S: So their (Enraku) main hall is the Ryogoku yose? S: I should go by there sometime. Thank you for coming and taking the time and I can't wait to see how this works out. Jubei (right) as an amateur at the Chiba International Rakugo Competition with the author. You can catch Jubei at the Ryogokutei yose located near Ryogoku station in Tokyo. As a zenza, Jubei sometimes opens for more experienced performers but because of his lower status he is not listed on the bill officially.